It’s been a boom time for Wi-Fi loudspeakers -- most major speaker makers have introduced wireless models that stream music via AirPlay, DTS Play-Fi, or Chromecast Built-in. Nor is Denmark’s venerable Dynaudio A/S a stranger to the wireless world -- their Xeo and Focus XD models have set a standard for high-performance, high-resolution-capable wireless speakers, though in both cases that performance comes at a relatively high price. Dynaudio’s newest wireless offerings comprise their Music models -- a range of compact, all-in-one speakers designed to deliver, via WiFi, the company’s proven sound-quality benefits in affordable, lifestyle-friendly packages. I wondered how well the Music models would stand up to their mass-market competition. Dynaudio sent me the top model of the series, the Music 7 ($1099 USD). The largest Music model by a literally wide margin, the 34”W x 8”H x 7.2”D speaker is about as wide as a typical soundbar. Now that I’ve mentioned soundbar, the 7’s HDMI input with Audio Return Channel (ARC) makes it a contender for use in a home-theater rig -- just connect the speaker to a compatible HDMI port on a TV and you can route TV soundtracks to it. 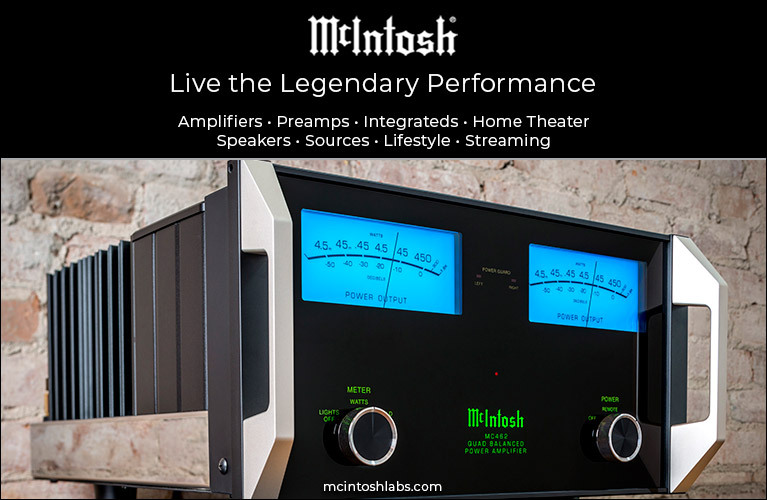 The Music 7’s wireless streaming options include DLNA, AirPlay, UPnP, and aptX Bluetooth. It’s also possible to group multiple Music speakers for stereo or multiroom playback using Dynaudio’s Music app. The Music 7’s vented cabinet weighs 17 pounds, and has beveled corners that swoop upward on the speaker’s front and back sides. A removable grille with a furniture-like texture is available in dark or light gray, red, or blue, and can be easily swapped out if you grow bored, or decide to move the speaker to a room with a different color scheme. Eleven buttons along the top edge light up and stand at attention when you wave a hand over them. Using these, you can adjust volume, select from five streaming presets such as favorite Internet Radio stations, switch sources, and control playback. Along with its HDMI connection, the Music 7 provides optical digital, 3.5mm analog, and USB Type-A inputs for connecting an iPhone, iPad, or iPod. The same USB port also supplies power to charge a connected iOS device. 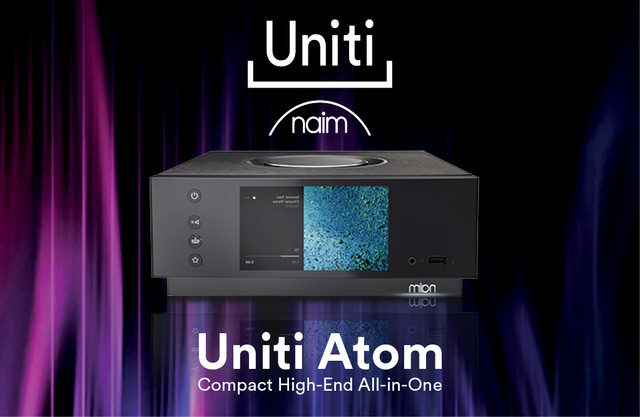 Supported audio formats include FLAC, ALAC, WAV, and AIFF, and the driver configuration comprises two 1” tweeters, two 3” midrange drivers, and two 5” woofers, each powered by its own 50W amplifier. Dynaudio’s simple remote control for the Music 7 is solidly built and performs such tasks as volume adjustment, input switching, and playback control. All of those functions can also be carried out using Dynaudio’s Music app for iOS/Android. The app’s uncomplicated layout makes it easy to quickly find something good to listen to. Here’s how it works: On launch, the app asks you to make selections from a list of music genres and related artists. That done, you enter credentials for a subscription service (Tidal, Spotify, etc. ), and it creates customized playlists for you. Other app features let you select linked speakers for playback (either multiroom or a stereo pair in the same room), and select Music, Movie, or Custom EQ presets. You can also turn on RoomAdapt, an auto-EQ mode that compensates for placement of the Music 7 close to a room corner or wall; or NoiseAdapt, which adjusts the dynamics of specific frequency bands to enhance clarity in environments with ambient noise (e.g., a party). I set up the Music 7 in two different configurations: atop a low bookshelf in my bedroom, and on the middle shelf of a TV stand with the speaker connected to a TV via HDMI, to function as a soundbar for movie playback. In both instances, I found that the RoomAdapt mode helped clean up the bass and enhance midrange clarity. And though the Music app’s custom playlists did turn up appealing selections, for testing I mostly relied on personal playlists created in Tidal. I began my first listening session with an electronic pop track, “Who Am I,” by London Grammar (16-bit/44.1kHz FLAC, Columbia/Tidal), and was immediately impressed by the scale of the Music 7’s sound and its complete lack of boxiness. Hannah Reid’s voice had a towering presence, sounding clear and unstrained. The song’s synth and electronic beats were reproduced powerfully, and with surprisingly deep bass extension. Background elements -- a reverb trail on a vocal, an electric-guitar arpeggio -- cut through clearly, and there was a level of fine detail that brought the sound to life and gave it a sense of dimensionality. The Music 7’s wide shape also allowed it to deliver an impressive stereo soundstage. In the title track of Bill Frisell’s Small Town (16/44.1 FLAC, ECM/Tidal), Frisell’s electric guitar and Thomas Morgan’s double bass each emerged from its own distinct space instead of sounding lumped together. The interplay between the two instruments was detailed and intricate: guitar strings resonated cleanly, with crisp attacks and realistic decays, and the bass was taut and well defined. With “Produk 29,” from Aphex Twin’s Syro (16/44.1 FLAC, Warp/Tidal), which has driven several all-in-one speakers I’ve tested into overload and distortion, the Music 7 deftly handled this torture track’s aggressive bass line and beats. The squelchy, acid-tinged synths were clean and forward without harshness, and the overall sound was spacious and dynamic. The bass synth was notably detailed, with subtle modulations in level that I could easily hear in this cluttered electronic mix. Orchestral music also fared well through the Music 7. The breathy textures of woodwinds, the blasts of brass, and the pounding percussion in Part I: The Adoration of the Earth, from Stravinsky’s The Rite of Spring, with Esa-Pekka Salonen conducting the Philharmonia Orchestra (16/44.1 FLAC, Sony Classical/Tidal), were all layered vividly over a low foundation of strings. The sound also had a notably unstrained and spacious quality that conveyed a sense of the orchestra’s size. I then watched the new 4K Blu-ray edition of The Matrix. Keanu Reeves’s mannered, deep-sounding dialogue came through in all its full-throated glory. I heard a good sense of ambience in a scene that takes place in an industrial nightclub, and the sound effects in another scene, in which Neo (Reeves) is taunted by some sort of monstrosity, were powerfully rendered. I could also push the volume in these scenes fairly loud without hearing strain -- louder than I can with the soundbar-and-subwoofer system I normally use in my bedroom A/V system. To get a sense of how adept the Dynaudio was at cranking out music at high volume, I compared it with another all-in-one speaker capable of impressive SPLs: Klipsch’s Heritage Wireless Three ($499). The two speakers had similarly full sound with The Rite of Spring, although bursts of brass were a bit edgier through the Klipsch, with less of a sense of dynamic ease at high volumes. The Music 7 also sounded cleaner and more linear than the Klipsch, which sounded warmer and fatter. Given the differences I heard between the two speakers with Stravinsky, I was surprised at how much more alike they sounded with the London Grammar and Bill Frisell tracks. Both had powerful, deep-reaching bass, with clean, uncolored voices and good renderings of ambience. The Klipsch’s sound was less expansive than the Dynaudio’s, though I wouldn’t call it boxy. Aside from presenting a wider stereo soundstage, the Dynaudio also bested the Klipsch in its reproduction of Aphex Twin’s “Produk 29.” The track’s throbbing, throttled bass line was cleanly reproduced by the Music 7, but made the Heritage Wireless Three’s woofers overdrive and distort. But even when I turned up the Klipsch to almost uncomfortably loud levels, this torture track was the only music on which it distorted. The Dynaudio Music 7’s angled, furniture-like look might not suit everyone’s taste, but it’s hard to overlook its sound quality. 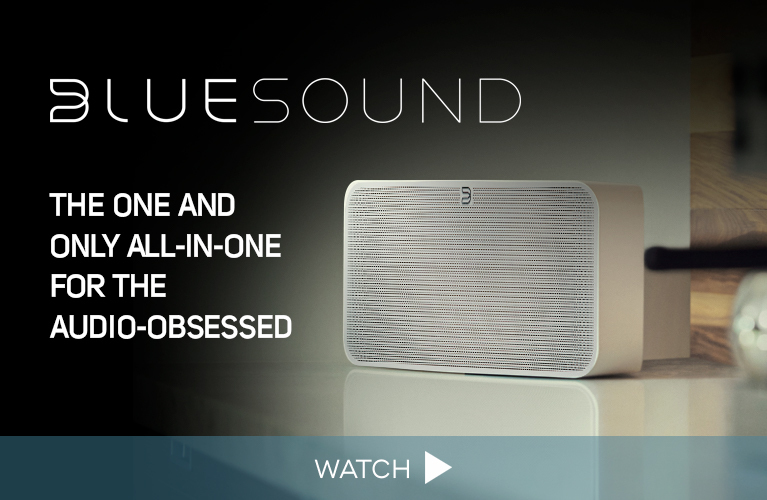 This is among the best, if not the best, all-in-one Wi-Fi speakers I’ve tested, with a detailed, effortless, natural sound that goes far beyond the boundaries of its single cabinet to create a convincing stereo soundstage with music. That it also sounds great with film soundtracks is another justification of its somewhat high price for a Wi-Fi speaker. But the Music 7 is no ordinary Wi-Fi speaker, and in this case that’s a very good thing.